The film has presented a highly creative way of fusing the different characters from different stories into a solid coherent plot. 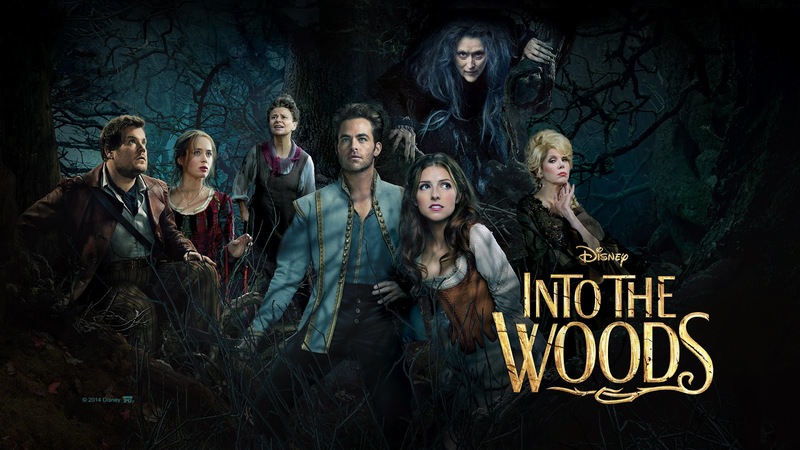 "Into The Woods" may not be the genre of movie for the general Philippine public but still it is one of the best film released this January. The film has shred and broke the traditional ideas of the Disneyfied stories and presented something different, ironic and sometimes dark side of each tale. Inspired by the Grimm Brothers' fairy tales of "Little Red Riding Hood", "Cinderella", "Jack and the Beanstalk", and "Rapunzel", "Into the Woods" is a fantasy genre crossover centered on a childless couple, who set out to end a curse placed on them by a vengeful witch. Ultimately though, the characters are forced to rectify the consequences of their actions. The lively and vivid scenes featuring dreamlike realms and fantastic imagery is one of the strong point of the film. Into the Woods is a 2014 American musical fantasy film directed by Rob Marshall, and adapted to the screen by James Lapine from his and Stephen Sondheim's Tony Award-winning Broadway musical of the same name. There would be phrases/lines from the songs that would stick to you even after you finished watching the film. The musical score and the songs were perfect. It features an ensemble cast that includes Meryl Streep, Emily Blunt, James Corden, Anna Kendrick, Chris Pine, Tracey Ullman, Christine Baranski, Lilla Crawford, Daniel Huttlestone, MacKenzie Mauzy, Billy Magnussen, and Johnny Depp. The performance of the cast is highly commendable. Meryl Streep is flawless as ever in portraying the witch. Emily Blunt has one of the most memorable performance and unforgettable character. I love how "Into The Woods" ventured into showing the gray areas of the fairy tales, Little Red Riding Hood is a spoiled brat, Jack was a very selfish kid, witches can be a very loving mother, Cinderella was like a sorceress with power over birds (And she can run pretty fast), and a prince can be charming but unfaithful. Watch the Official Trailer of "Into The Woods"
The Witch's demands eventually bring the Baker and his Wife into contact with Jack, who is selling his beloved cow Milky White and to whom the Baker offers magic beans left him by his father (which were stolen from the Witch) which grow into a large beanstalk; with Red Riding Hood, whose ruby cape the couple notices when she stops to buy sweets on her way to grandmother's house; with Rapunzel, the Witch's adopted daughter whose tower the Baker's Wife passes in the woods; and with Cinderella, who also runs into the Baker's Wife while fleeing from the pursuing Prince.